Though unrecognised by the international community, the country benefits from a strong social contract between government and citizens. (The Economist)- DROP a pin on a map of eastern Africa and chances are it will not land on a healthy democracy. Somalia and South Sudan are failed states. Sudan is a dictatorship, as are the police states of Eritrea, Rwanda and Ethiopia. President Yoweri Museveni of Uganda has ruled uninterrupted since 1986, and plans to remove a constitutional age limit so he can cling on longer. Elections in Tanzania have never ousted the Party of the Revolution (and its predecessor), which has governed since independence in 1961. Even Kenya, once the region’s most vibrant and competitive democracy, is struggling. Last month Uhuru Kenyatta was re-elected president with 98% of a preposterously flawed vote. In this context tiny Somaliland stands out. On November 13th citizens of this internationally unrecognised state will elect a president in what is expected to be its sixth peaceful, competitive and relatively clean vote since 2001. This unparalleled record makes it the strongest democracy in the region. How has this happened? A peculiar history helps. 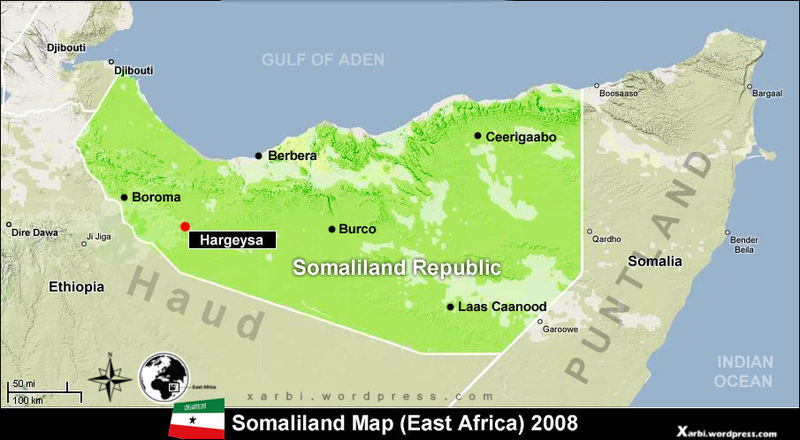 Somaliland was a British protectorate, before it merged with Italian Somalia in 1960 to form a unified Somalia. It broke away in 1991, and now has a strong sense of national identity. It was one of the few entities carved up by European colonists that actually made some sense. Somaliland is more socially homogeneous than Somalia or indeed most other African states (and greater homogeneity tends to mean higher levels of trust between citizens). A decade of war against the regime of Siad Barre in Mogadishu, Somalia’s capital, reduced Somaliland’s two largest cities to rubble, yet produced a flinty patriotic spirit. And the Somali National Movement (SNM), which led the fighting, cultivated an internal culture of democracy. Its leadership changed five times in nine years, and transferred power to a civilian administration within two years of victory.